When you are involved in a car accident, you experience consequences beyond a damaged vehicle. You may experience temporary or permanent injuries, a loss of income, or any number of unexpected, frustrating consequences. While many causes of car accidents seem obvious, this list is aimed at all drivers, new and experienced. Whether you just got your license or have been driving for decades, this list serves as a reminder to the causes of accidents and how you can avoid causing them. The number one cause of auto accidents is distracted driving. Any time your full attention is not on the road, you are considered to be distracted. It is not unusual for people to drive slightly above the speed limit. Although this can be dangerous, it is not as dangerous as the people traveling 10, 20 or 30 miles above the limit. Remember that the faster you are moving, the longer it will take you to react and come to a stop. Drivers who are drunk do not possess the same focus or ability to react as those who drive sober. If you choose to drink, find someone sober to drive. In driver’s education, students are taught to drive defensively. Unfortunately, some choose to drive recklessly instead, with little regard for motorists sharing the road. Water on the roadways causes slick spots and dangerous surfaces. Speed often plays a factor in accidents that are caused due to inclement weather. If it is actively raining or the roadway is wet, slow down. A red light means stop; it is not optional. When you run a red light, you are at risk of causing an accident that seriously injures another person. No matter what color the light at the intersection; always look both ways for oncoming cars before you pass through. Stop signs should be treated as red lights. No matter where you are, do not ignore a stop sign. Many accidents are caused every day because a person chooses to speed through an intersection rather than stop as directed. Besides being inexperienced, teenage drivers are often distracted. Teenage drivers do not always know how to react to situations or fail to react properly due to distracted driving. When the sun disappears from the sky, you must focus harder on the road in front of you. Your chances of a car accident nearly double in the dark. There are hundreds of parts and components that make up your automobile, any of which can fail at any time. Design defects are the tenth most common reason for automobile accidents. At some time, you will need to change lanes. Do not rely solely on your mirrors to tell you if it is safe to do so. Always check your blind spots, use your turn signal, and move cautiously into the other lane. Traveling the wrong way on an entrance or exit ramp, or even on a one-way street, can have deadly consequences. If you have been the victim of an auto accident, you may be entitled to compensation. There are rights that you must be made aware of. Call Auger & Auger Attorneys at Law to discuss your case today. We can help you now! L’Hon Siu’s son Khai Cook is “recovering each day” according to his grandmother, Lorna. “Its going to be a lifelong journey”, she stated to reporters. Cooke is a survivor in the automobile accident that took the life of his mother H’Luon Siu nearly three years ago when Eric Cox drove through a red light and collided with the vehicle that H’Luon was driving. Cox, who had already had one drunk driving conviction on his record, was found to be far over the legal limit when the accident occurred. Cox was found guilty of second degree murder as a result of the collision, and a judge has sentenced him to at least 17 years in prison. However his defense team does plan to file an appeal. Accidents inflict damage far beyond the obvious injuries and fatalities. Families will always feel the loss of loved ones, especially when the victims are children who have lost their parents. Beyond the financial loss incurred in such case is the emotional trauma that will stay with the entire family for the rest of their lives. The Personal Injury Attorneys of Auger & Auger Law can help you get the compensation you deserve when a loved one is taken from you. With a well-rounded approach to each and every case we handle, you can be assured that our legal team can help you with workers comp, auto accidents, medical malpractice, birth injury or wrongful death cases. Call our office today. Every year in the United States, more than four million people can call themselves dog bite victims. One fifth of these victims need to have their injuries attended to in a medical facility. Here’s another statistic: Half of all dog bite victims are under the age of 13. There is a common misconception surrounding dog bites. Many people believe that it’s the strange dog that bites. According to According to dog bite statistics, most dog bites are delivered by an animal that the victim is familiar with. What is extremely important to understand is that any dog can bite; even the family pet. 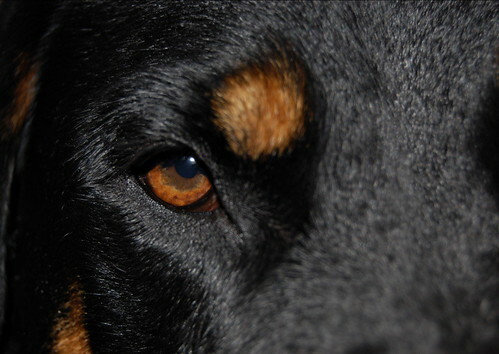 Here are five of the most common reasons that dogs lash out. Have you seen the “cute” pictures on the Internet of babies taking toys away from dogs? 9 times out of 10, that behavior may be perfectly safe. It’s the tenth time that it all goes wrong. Many adults are not skilled in reading canine body language, and infants and toddlers most certainly are not. Do not allow your children to take items like toys and food away from any dog. Ever. Many dog bites that are delivered by a fearful animal are directed towards strangers. Unfortunately, these bites also occur in the home. Teach your child to never sneak up on the dog. Your child should not be permitted to bother the dog when it is sleeping. And no matter how much your child loves the dog, never let your child wrap his or her arms around the dog’s neck. It’s not unusual for dogs to bite because they are painful. It’s also not unusual for humans to have no idea that their dogs are in pain. Dogs have a predisposition to hide pain. It’s simply something that they do. Often, one of the first signs of illness or injury in a companion animal is a change in behavior such as aggression. It is extremely important that everyone in your family understand to not touch a dog that has recently given birth and is still caring for puppies. It is also important that family members do not handle the puppies. If you feel as though your dog is accepting of your handling of her puppies, do not do so without caution. 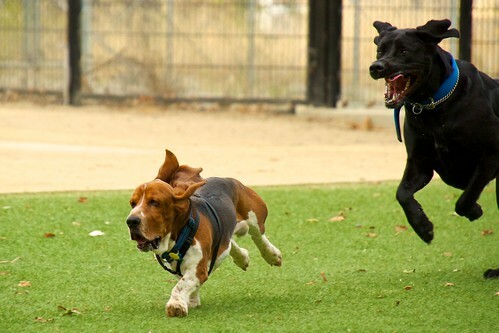 Dogs have an instinct to chase. While the instinct has been watered down in some dogs, in others it is incredibly high. Teach your children not to run from a dog. If you are cycling or jogging, be aware of your surroundings. If you find yourself being chased by a dog, stop and stand still. 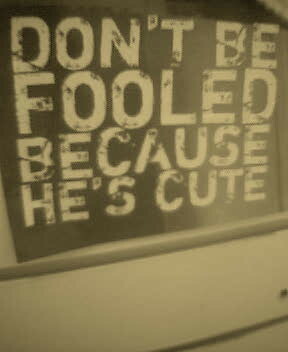 Do not make eye contact. Chances are that the dog will find you uninteresting and move on. If your canine is displaying aggressive or fearful behavior, there are dog training tips that can help you. A professional behaviorist will be happy to share these with you. Remember that it is up to you to ensure that your dog does not bite you, a member of your family, or a guest on your property. If you have been bitten by a dog, you may be entitled to compensation. Contact the offices of Auger & Auger for more information on your legal rights. We can help you file a dog bite lawsuit if necessary today. Early Saturday morning, sometime shortly after 5 am, Jorge Jimenez-Feliz was driving a white Dodge Caravan. For some unknown reason, he crossed the double yellow line while driving down North Tyron Street in Charlotte. When he did that, he ran head-on into Jessie Garza who was driving his 2008 Yamaha motorcycle in the opposite direction. As a result of that crash, the bike hit another vehicle that had stopped when it saw the collision. The drivers of both cars were uninjured, however, according to investigators, Garza died at the scene of injuries incurred in the crash. Jimenez-Feliz has been arrested and charged as a result of the accident, although investigators currently do not believe that alcohol or speed were factors. Car accidents are always traumatic and can be nerve-wracking. In the wake of these devastating incidents the last thing you need to worry about is trying to handle your own injury claims. The personal injury lawyers of Auger & Auger have over 20 years of experience of fighting aggressively for the rights of the injured and the innocent. 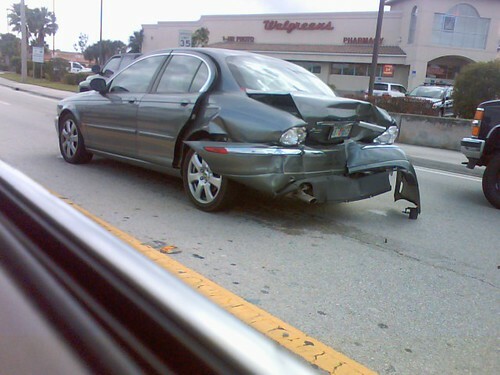 If you have been injured in an automobile accident, let our lawyers do the fighting for you. Any dog can bite. That should not be something that you are unaware of. Unfortunately, there are certain breeds of dogs that are known to bite more often or in a more aggressive way than others. When you purchase a home, you are required to maintain home owner’s insurance. When you rent, your landlord may require that you obtain a renter’s insurance policy. What you may not realize is that if you own one of these breeds, you can find it difficult or impossible to obtain an insurance policy. But why? Statistically speaking, when you own one of these breeds, your home owner’s insurance company is putting themselves at greater risk of having to pay out a major liability claim. Some companies are simply not willing to take this risk. While it is true that any dog can bite, the breeds listed above are more likely to do so. As a home owner, it is your responsibility to prevent a dog bite. While it may seem unfair to group pets together in any type of “dog attacks by breed” list, the facts speak for themselves. If you want to lessen your risk of being sued or dropped from your insurance, it is up to you to ensure that your pet is socialized and trained properly and supervised at all times. No matter what type of dog breed you own, your insurance company has the right to stipulate how that dog is kept in order for you to be able to maintain a policy. Your insurance agent can provide you with information in regards to these stipulations. It is important to understand that if your dog bites someone who is on your property, you can be held liable. While dog bite settlements vary by case, you can be held responsible for medical bills, lost wages, and even pain and suffering. Even if your dog has not been legally labeled as dangerous, you are liable if it bites a human. Responsible ownership is the key in preventing the majority of dog bites. Through proper training and supervision, you can help to reduce the risk of injury or death caused by your beloved pet. While some dog bites are not preventable, many are. It is up to you to understand your dog, its behavior, and its propensity for biting. If you or someone you know has been attacked by dog, no matter the breed, contact the office of Auger & Auger today. Our attorneys are experts in personal injury and dog bite law and can get you the compensation you deserve. Contact us now! Early Saturday morning, an unnamed driver of a 2000 Ford Expedition SUV struck pedestrian Allison Carter, 42. According to a witness, Carter was crossing Sunset Road in the dark while there was a light rain coming down. The driver of the SUV that hit Carter called 911 and informed emergency services of the accident. When Charlotte-Mecklenburg Police Officers arrived, Carter was unresponsive, and still in the road in front of the Ford Expedition. According to reports, neither alcohol nor speed were factors in the accident, however the collision is still under investigation. When these accidents happen that is when the services of professionals, like the Personal Injury specialists of Auger & Auger, Attorneys at Law, are needed. With a policy of aggressive representation for victims of personal injury, a focus on high quality, state wide service and excellence, the attorneys of Auger & Auger are here for you. We understand that each person is different and we will personalize our services for you as we listen to your situation. 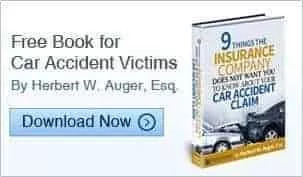 So if you have been injured, contact the attorneys of Auger & Auger today for your free consultation. There are no any fees until we successfully obtain a settlement on your behalf. No one plans on suffering injuries when they get in their vehicle, but as we all know accidents happen even when all necessary precautions are taken. Holidays, the increase of children walking to and from school, and other events often increase the number of accidents and injuries, both on and off the roadways. At just after 8:30 a.m on Thursday, not far from Dunstaff Road, a Charlotte-Mecklenburg School bus stopped to pick up students from Ridge Road Middle School. An unknown accident happened that sent the driver of the bus to the hospital with injuries. There were five students also on the bus at the time of the accident and although none of them were injured; the passenger from the other vehicle involved in the bus accident was also transported to a local hospital and treated for injuries. If you or a loved one has been injured or killed, in a car, motorcycle or truck accidents, or any other serious personal injury claim, you don’t have to go through such difficult situations alone. With over 20 years of experience, the attorneys at Auger & Auger are here to listen to you and answer your questions. Call our offices today for a free consultation, where you will speak with an attorney, not an assistant, paralegal or sign up specialist. We’ll listen to your case and discuss your legal options, you don’t have to suffer alone. Call today. CHARLOTTE, NC – Auger & Auger announced a new scholarship for disabled students today. The firm says the scholarship is intended to help level the playing field for students with physical or mental disabilities. Auger & Auger founder Herb Auger says that the scholarship for $1,000 is open to both current undergraduates and high school students that have been accepted to a college. Auger says the scholarship is one way of lowering those barriers. As a personal injury law firm, Auger & Auger frequently works with accident victims who will cope with disabilities for the rest of their lives. Auger says that has given his lawyers and staff a strong sense of empathy for the difficulties that disabled persons face. Auger says the scholarship won’t eliminate those pressures but could help deserving students overcome them. The Auger & Auger Disabled Scholar Award will be awarded twice a year. Application details can be found online. Ingrid and Deitel Zeifer were taking their dog Soffie to the groomers when Soffie got a little over-excited. The couple had their furry friend leashed and riding in the car with them. When Soffie saw the groomers shop she apparently started jumping around in excitement over her upcoming appointment. The dog, which was on a leash but not crated, jumped up and put her paws on Ingrid’s right leg, forcing her foot down on the pedal. Momentarily unable to control the vehicle, the car rammed into the groomers shop, knocking thee owner and employees off their feet. Police have determined that the incident was an accident and charges will be filed. The owner and employees are unhurt, though the building has been condemned. If you have been injured, be it in a car, motorcycle or truck accidents, or any other serious personal injury claim, you don’t have to go through such difficult situations alone. With over 20 years of experience, the attorneys at Auger & Auger are here to listen to you and answer your questions. Call our offices today for a free consultation, where you will speak with an attorney, not an assistant, paralegal or sign up specialist. We’ll listen to your case and discuss your legal options, you don’t have to suffer alone. Call today. Eric Jonathan Cox, the writer of “Cpl Cox”, a book about his time as a Marine and Iraqi War Veteran, is heading to trial this month on charges stemming from the result of a crash in 2011 that killed 26-year-old mother, H’Luon Sui. Sui’s child, a 4-year-old boy was also in the vehicle at the time of the accident, and was very seriously injured in the collision, however he survived. Cox, who had been convicted previously of DWI, drove his Chevrolet Tahoe through a red light as he sped down East Sugar Creek road and hit H’Luon Siu’s Nissan broadside. He was found to be impaired and was arrested at that time. Accidents can happen anywhere and at any time. Regardless of whether or not an accident takes place on the road, in the office or in your own home, sometimes pursuing legal recourse is you best option. With a well-rounded approach to law, we are ready to help. You can be assured that our personal injury attorneys can help you get the compensation you deserve. While no amount of money can give you your health back, compensation for accidents can help you with all of the financial burdens that inevitably arise from these tragedies. With two locations and flexible appointment scheduling, even in home or in hospital visits if you need it, we have made it as easy as possible for you to get the help you need. Call or email our offices for help today.